All participants must weigh between 70 and 250 lbs, and we discretely verify weight at check in. Our suggested minimum age is 10 years old. However, everyone must meet our weight requirement of 70 - 250 lbs. All participants must be in reasonably good physical condition, with the ability to pull yourself hand over hand along a cable (your weight is supported by a harness). There are two very short hikes on well maintained trails, but participants should be comfortable walking on uneven terrain. Also remember that our tours last 3 to 3.5 hours. Congrats! But we don't want to put you or your baby at risk, so we don't allow pregnant people to zip. We look forward to seeing you in 9 months! Guests with conditions that require fast acting medication, like epinephrine, should bring their medication with them and make their guides aware of the condition prior to the start of the trip. The Gorge is located in a remote wilderness setting so evacuation could be delayed. If you have any concerns about your medical conditions, please consult your doctor before zipping. Our tours begin at the scheduled tour time. Therefore, we recommend guests arrive at least 15 minutes prior to tour time in order to allow for parking, checking in, etc. If you are running late, we will do our best to accommodate you on another trip that same day, given availability. No refunds will be issued to late arrivals – if you fail to show up for your trip on time, we still incur the same costs and may have turned others away. Our tours operate rain or shine and regardless of temperature. Check the local weather before you come (zip code 28773). Wear appropriate clothing for the conditions. Close-toed footwear that is suitable hiking on variable terrain is required. Avoid wearing loose clothing, such as ponchos, scarves, and excessively baggy clothing. Short shorts are not recommended. Due to the nature of the ride, we recommend that participants leave valuables such as jewelry and cell phones in their car. Cameras/phones are not permitted on the trip due to the likely-hood that they will be dropped and/or broken, as well as a courtesy to other guests. Our canopy tours run rain or shine, in all weather conditions, unless extreme winds or lightning interfere with operational safety. The Course Manager on duty will determine tour cancellations, and guests may be notified at any time regarding cancellation. In the event that your tour is cancelled by The Gorge, you will receive a full refund or rain check voucher depending on the circumstances. We reserve the right to postpone (or pause) a tour for up to one hour to wait out inclement weather and then resume normal operations. Participants should be comfortable without access to restroom facilities for over 2 hours. Restrooms are available at our outpost and at the pick up point at the end of your tour. What is included in the Canopy tour? During your experience at The Gorge, you’ll fly through the treetops on over a mile of cable covering 11 zip lines in the breathtaking Green River Gorge. You will wear a safety harness connected to the zip line cables, allowing you to travel from platform to platform. Additional elements are included in the tour such as a suspension bridge, 3 free fall rappels and a short hike down hill. Each tour is led by 2 knowledgeable and experienced guides. What if I’ve never zipped before? That’s okay! Most of our guests have never experienced the thrill of a canopy tour adventure before. That’s why our guides make sure that they give a complete orientation session before starting ground school, and why we make sure we do everything we can to make you feel comfortable about your adventure. Our program is designed for intergenerational participants. That’s what we love about this canopy tour, just about everyone can do it. Please read our requirements prior to booking your tour. Reservations are strongly encouraged. Without a reservation, we cannot guarantee that there will be an open space on a trip, although we will try to accommodate people stopping in, if we have space available. Plan your canopy tour now with an online reservation. All reservations are charged in full at the time of booking. If you need to cancel or modify your reservation you are required to notify us 72 hours/3 days prior to your scheduled tour. Reservations are considered final 72 hours/3 days prior to your scheduled tour and are not eligible for a refund OR rescheduling. From departure time our course takes 3-3.5 hours to complete with a fully booked trip of 8-10 participants, smaller groups my move through the course more quickly. We ask that you plan for at least 4 hours total. Our suggested minimum age is 10 years old, and all participants must weigh between 70-250lbs. Guests are discretely weighed at check-in. Those not meeting our requirements may not be able to participate and are ineligible for a refund. If under 18: A parent or legal guardian must also sign the waiver. We suggest that you dress as if you were going for a hike. You will be wearing a helmet, full body harness and gloves so dress for comfort. The temperatures can be different at the outpost so we suggest bringing layers and making the final decision once you arrive. Our canopy tours run rain or shine, in all weather conditions, unless extreme wind or lightening interfere with operational safety. The course manager on duty will determine tour cancellations and guests may be notified at any time regarding cancellation. In the event that your tour is cancelled by The Gorge, you will receive a refund or a rain check voucher depending on the circumstances. We reserve the right to postpone or ‘pause’ and tour for up to one hour to wait out inclement weather and resume normal operations. Rain gear is not provided and you are expected to dress appropriately for the weather. Synthetic clothing is recommended when wet weather is expected. What if it’s too cold outside? Please be aware that our winter months can be quite cold. Zipping in the cold is fun, if you are dressed for the weather. We recommend you layer your clothing. Based upon the temperature we recommend that you consider wearing long underwear, wool socks, warm cap, warm jacket, glove liners (full gloves will not fit under the gloves you will be required to wear to zip). We have ‘hot hands’ and glove liners for sale at the outpost. All canopy tours begin at the booked time, so please arrive on time. If you expect to arrive late, please call us at 828.749.2500 and we will determine if we can accommodate you on another tour that day. This will be case-by-case basis, determined by our manager on duty. Refunds will not be issued to late arrivals, so please plan accordingly. Can I make reservations for a group of more than 8? Yes, we can accommodate large groups! Please call 828.749.2500 and allow our reservation team to facilitate the booking. Our group discount starts with 8 participants and is $10 off per guest. NOTE: Group discounts must be paid with one credit card at the time of booking and group discounts may not be combined with any other discounts. If I am not able to participate, can I stay and watch? Spectators are welcome to hangout on our deck. You will be able to observe ground school and see the participants take their first zip. We do not allow anyone to walk the trail systems setup on course or to meet a group at the bottom for safety reasons. Do the guides take photos? Yes they do, SMILE! The guides will carry a camera through out the course. Getting comfortable on the lines is first priority, so they will start snapping photos after the first 3 zips. If you have a special request for a photo, the guides will do their best to provide but please remember that safety comes before the photos. Once back to the outpost, your photos will be loaded into a slideshow for you to view. If you like what you see, let the retail staff know and they can start transferring them onto a Gorge USB. Check-in and ‘like us’ on our Facebook page for a photo discount. Note: Our gloves don’t work with cell phone screens. Please leave cells phones and other valuables locked in your vehicle. There are restrooms located at the Outpost before you take off, and a portalet located at the bottom of the course before you are shuttled back. There are NO restrooms on the course, so be sure to empty your bladders before going into the gear room. Yes, but you might consider wearing an eyewear retainer to ensure that your glasses do not fall off. Retainers are available for purchase in our on-site retail area. The Gorge is not responsible for and cannot recover any items dropped from the course. Is there someplace for me to store my purse, wallet, etc. while I am on my tour? No. Please leave bags and valuable items at home or locked in your car. We do have a place to keep your keys while on your tour, but we are not responsible for any items left in the gear room. If I am pregnant, can I still zip? For the safety of the mother to be and the baby, we do not allow women who are pregnant in any stage to participate in the zip-lines. Do we have to hike back to the outpost? We have a large passenger van that will meet you at the bottom and shuttle you back to the outpost.  Our sister company, Green River Adventures (what started it all…) is located downtown Saluda. Plan multiple activities during your stay! 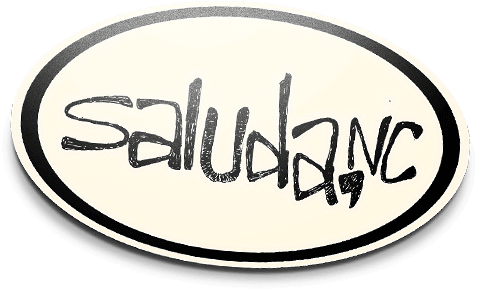 Check out saluda.com/adventureguide for more to do while in the area. Sure, but its not required so please don’t feel obligated. Your guides work hard to make sure you have a memorable tour. If they succeeded, feel free to reward their effort. You can either tip your guides directly, or if you’d prefer to tip by credit card, talk to the staff at the check in desk, they’d be happy to help! The Gorge was designed and built by an ACCT Accredited Vendor, and meets or exceeds all industry standards in regards to guide selection and training, equipment, and inspections. The Gorge features a state of the art hands-free braking system that is used to reduce the likelihood of hand injuries that are common with hand-braking systems. All Gorge guides fulfill training requirements determined by the Association for Challenge Course Technology (ACCT). We work to have at least one Wilderness First Responder on every tour. Participants must weigh between 70 and 250 pounds. Guests are discretely weighed at check-in. Comfortable, closed toed shoes are required. Please dress appropriately for the weather. We suggest you dress as if going for a hike. Because guests will be in a harness, longer shorts or pants tend to be more comfortable. If your trip spans a meal time, please eat prior to arrival. Reservations are considered final 72 hours / 3 days prior to your scheduled tour and are not eligible for a refund or rescheduling. Groups of 8 or more are eligible for a group discount. Groups of 8 or more reserving multiple trips in a day or throughout the season may contact our outpost manager for customized payment and scheduling arrangements.